Dawn, a serious fox, Tobin, a sweet pangolin, and Bismark, a loud-mouthed sugar glider are back for their third adventure as the Nocturnal Brigade. You may recall my review of book #1: THE MYSTERIOUS ABDUCTIONS , a fun story for any animal lover. Next came THE OMINOUS EYE which brought the excitement to a whole new level. The Nocturnals now bring us THE FALLEN STAR, a story that leads to a death defying climax. No lions and tigers and bears in this world, but you do get a look at many creatures who don’t normally grace the pages of a fiction book. Ever heard of an aye-aye, bandicoot, or bilbies? You’ll learn about each as they become part of the story. If you have not read the first two books you can still enjoy this one, but knowing how those turned out had me thinking hard as to what the mysterious blue light was and the tap-tap-tapping. I knew it had to be something other than aliens. There’s tension with humorous sidelights coming from the multilingual mouth of Bismark. The twenty-three chapters are a manageable length to read in a classroom, before lights out, or whenever a few minutes pop up in your schedule. You’ll be glad you spent some time with the Nocturnal Brigade—three all stars in the animal world. FULL PLOT (From AMAZON) In The Fallen Star, Dawn, Tobin, and Bismark awaken one evening to a disaster: all of the forest’s pomelos have been mysteriously poisoned! As the Nocturnal Brigade sets out to investigate, they encounter Iris, a mysterious aye-aye, who claims monsters from the moon are to blame. While the three heroes suspect a more earthly explanation, the animals of the valley are all falling ill. And then Tobin gets sick, too! The Nocturnal Brigade must race to find answers, and the cure, before the pomelo blight threatens to harm them all. The personalities of each animal character shine with their distinctness through actions and dialog. Marvelous creations—all of them. What’s going to happen next? That’s a question you’ll be thinking about a lot as you pause between chapters. The mark of great storytelling. The story contains great messages for us humans—young and old—about respecting differences. Bismarks wild rants of love for Dawn, the fox, will put a smile on your face. They had me giggling more than once. Nothing too heavy here. Just a load of entertainment for your imagination. FAVORITE LINES: “Ay caramba! What’s with the stench, mom ami? Bismark cried, holding his nose and fanning the air with his flap. We’re all a bit scared of these so-called invaders, but try and hold off the stink! We’ve got enough fumes flying around here. ADDITIONAL RESOURCES (from THE NOCTURNALS): This link leads to wonderful resources to extend the book for the classroom or at home. Book Club Questions, Nocturnals Bingo, and many more connections to language arts and science. Go check these out. They’re wonderful extensions! 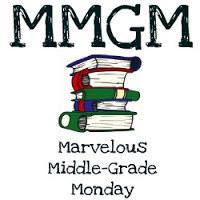 This entry was posted in Reviews and tagged Marvelous Middle Grade Monday, MG book reviews, Middle grade, The Nocturnals - the ominous eye, The Nocturnals-The Fallen Star, The Nocturnals: The Mysterious Abduction, Tracey Hecht. Bookmark the permalink. Sounds like a great story for animal lovers. Glad to know that you could just pick up this book without reading the other two but sounds like it’s better to start with book one. What a fun series for youth. A mystery and a lot of humor! Sounds like it is a tale from down under with the animals and language. I read the first one and love the concept and humor. Thanks for the reminder I need to get back in there and read these next two. I’ve heard about the first book but I have’t read it yet. Thanks for reminding me to read this series. Kids will enjoy the humor. We need more humorous books for kids (and it’s something I’ve tried to write and can’t!). I’m also intrigued that Bismark is multilingual. Humor is always a winner. It’s nice that it’s not the usual bunnies or bears. I will check this out. Thanks for the review.